There are still great swatches of the American wireless industry woefully lacking in LTE coverage (we're looking at you, T-Mobile) but bit by bit the various carriers have been hopping on the bandwagon. While budget carrier Cricket Wireless has actually had LTE coverage in Las Vegas and Tucson for the last few months, it'd been restricted to USB access dongles, WiFi hotspots and the like. Their first LTE smartphone, the LG Optimus Regard. Yup, that's the name they went with. The Regard fits neatly into the low end, with a 3.5-inch screen running at 480x320. At least its' got Android 4.0, though it's also running LG's custom skin. Underneath is a 1.2ghz single-core processor with an indeterminate amount of memory. We'd tell you about storage capacity and SD card slots, but Cricket is mum on such things - though they're more than happy to tell you about the cheese shutter on the 5 megapixel rear camera. The LG Regard is available now on Cricket's website for $249.99 off-contract. If you're looking for something with a little more oomph, Cricket is bringing the ubiquitous Samsung Galaxy S III to its LTE network on November 23rd. Hey, it's just not a party without everyone's favorite oblong slab. The 16GB dual-core Snapdragon GSIII will retail for $549.99, also off-contract. No other options have been announced this far, and they're not saying which of the handful of colors will be available. All this, and new markets too! Today Cricket flip the LTE switch for Philadelphia, Pennsylvania, Phoenix, Arizona, and Houston, San Antonio, Austin, Laredo, Corpus Christi and the Brownsville-McAllen-Harlingen area in Texas. SAN DIEGO, Nov. 14, 2012 /PRNewswire/ -- Cricket Communications, Inc. today announced expanded availability of 4G LTE service and the introduction of its first premium 4G LTE smartphone, the LG Optimus Regard (LW 770). 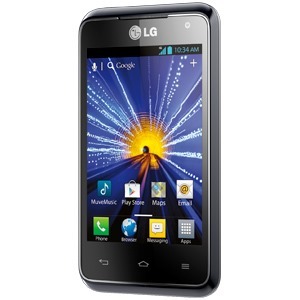 The LG Optimus Regard offers the right combination of premium features and value to make it the perfect holiday gift. Features such as 4G LTE, Android 4.0 OS, 1.2 GHz dual-core processor, and a 5.0 megapixel camera all with Cricket's no contract, all-inclusive data, talk and text smartphone plans starting at $50 per month. Beginning November 14, LG Optimus Regard will be available at Cricket stores, dealers and online at www.mycricket.com for $249.99 (MSRP). "At Cricket, we're thrilled to launch our first 4G LTE smartphone as we roll out our 4G LTE service to additional Cricket markets," said Matt Stoiber, senior vice president of devices for Cricket. "The Optimus Regard from LG is an exciting new device that performs exceptionally well on our high-quality, 4G and 3G networks and is a great option customers looking for a fast, easy to use smartphone as a gift for the holidays or as a replacement phone for themselves." The LG Optimus Regard will enhance any holiday gift list this season. Built on a premium feature set, the Regard delivers a responsive 3.5 inch HVGA touchscreen, Android 4.0 OS (Ice Cream Sandwich), 1.2 GHz dual-core processor, and a powerful 1700 mAh Li-Ion battery, 5.0 megapixel rear-facing camera and camcorder with LED Flash and VGA front facing camera/camcorder. Adding to the depth of quality, the Optimus Regard for Cricket has complementary features that will enhance the user experience when sharing files, listening to music or tethering additional devices such as an email application for both consumer and business email. The Regard is capable of real web browsing up to 4G speeds, Dolby Mobile, DLNA, Wi-Fi Capable, Stereo Bluetooth, Mobile Hotspot. Tethering supports up to 5 devices. 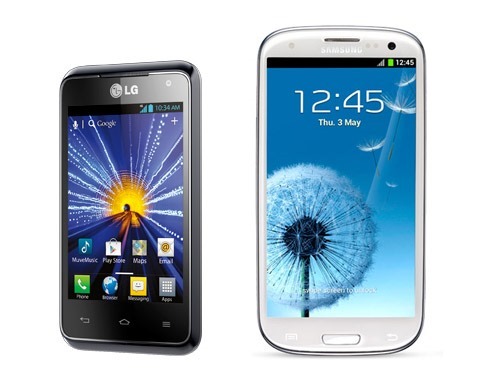 The LG Optimus is available on Cricket's new 4G LTE Android Double Data service plans that offer, for a limited time, double the monthly full speed data allowance offered in 3G rate plans. The $50 4G LTE Android Double Data Rate Plan allows 2GB of full-speed data; the $60 plan allows 5GB of full-speed data and the $70 plan offers 10GB of full-speed data. The 4G LTE device launch coincides with the company's announcement today that 4G LTE service is now available in Philadelphia, Phoenix, Houston, San Antonio, Austin, Laredo, Corpus Christi and the Brownsville-McAllen-Harlingen market, Texas in addition to existing 4G LTE service in Las Vegas and Tucson. The company's LTE service now covers approximately 21 million potential customers. Cricket is the pioneer and leader in delivering innovative value-rich prepaid wireless services with no long-term contracts. Cricket offers nationwide wireless voice and mobile data services over high-quality, all-digital 4G (LTE) and 3G CDMA wireless networks. Cricket's innovative products and services including the award-winning Muve Music® - the first music service designed for a wireless phone, are available nationwide at Cricket branded retail stores, dealers, national retailers and at www.mycricket.com. For more information about Cricket, please visit www.mycricket.com. For more information about Cricket's dynamic service and newest device lineup and to check for availability, visit www.mycricket.com. To follow Cricket's latest news and updates online, visit Facebook atwww.facebook.com/cricketwireless and Twitter at http://www.twitter.com/cricketnation.